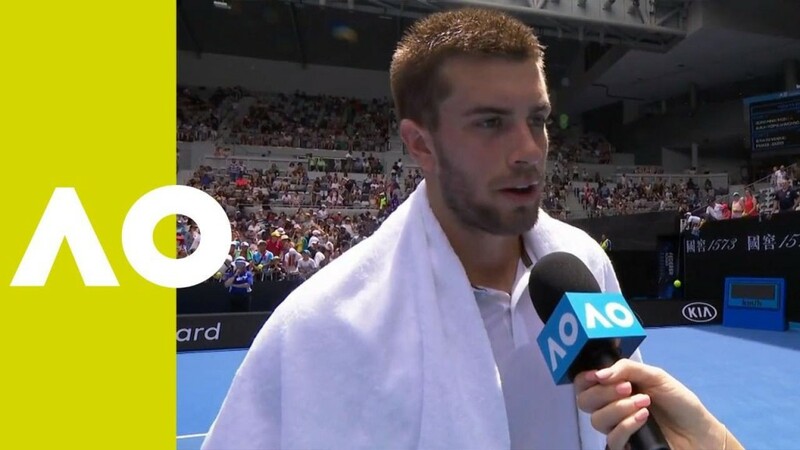 After a slight miscue in the second set against Mackenzie McDonald, #6 Marin Čilić dismissed the American in four sets Wednesday night in Melbourne and will now play #26 Fernando Verdasco Friday. After winning the first set against McDonald, Čilić took the second set into a tiebreak where he was quickly up 4-0. But the wheels came off the wagon and Čilić would lose his composure, ultimately dropping the tiebreaker 11-9. 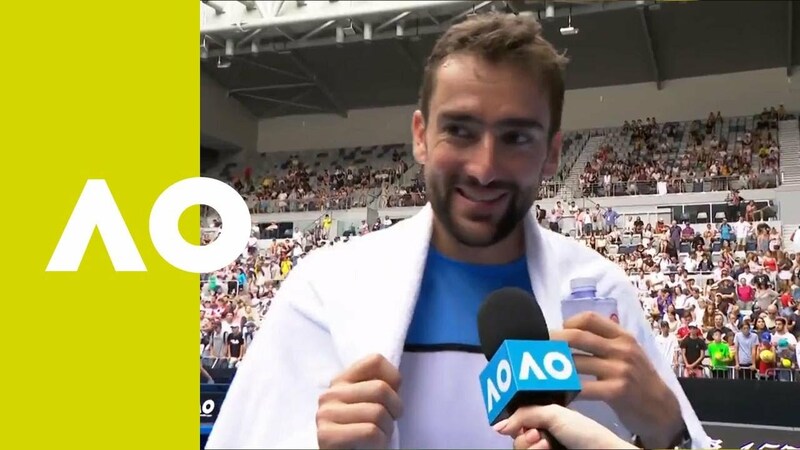 Čilić took the next two sets 6-4, 6-4 and will now get into the nitty gritty of the Aussie Open, playing Verdasco next and then possibly #10 ranked Russian Karen Khachanov in the fourth round. After earning his first ever Australian Open win over Steve Darcis on Tuesday, #11 Borna Ćorić took care of business against Hungarian Marton Fucsovics in the second round Thursday afternoon. Ćorić won 6-3, 6-4, 3-3 in straight sets and will now play Serbian Filip Krajinovic in the third round. Big things are expected from the 22 year-old from Zagreb and a run into the quarterfinals wouldn’t be impossible. #31 Petra Martić defeated Czech Republic’s Marketa Vondrousova 6-4, 7-5 in the second round Wednesday night and will now have an extremely tough test against #5 ranked Sloane Stephens in the third round, who won the 2017 US Open. #29 ranked Donna Vekić was upset by Wild Card Kimberly Birrell 4-6, 6-4, 1-6 Wednesday night during their second round match. The winner was primed to play #2 Angelique Kerber in the third round but Vekić, nonetheless, needs to win matches against unranked players if she’s ever going to put herself in a position to climb into the top-ten. The 6′ 11″ Ivo Karlović dropped his first two sets against “The Man From Japan” #8 Kei Nishikori in their second round duel Thursday night but came back 7-5, 7-5 to force a fifth and deciding final set. 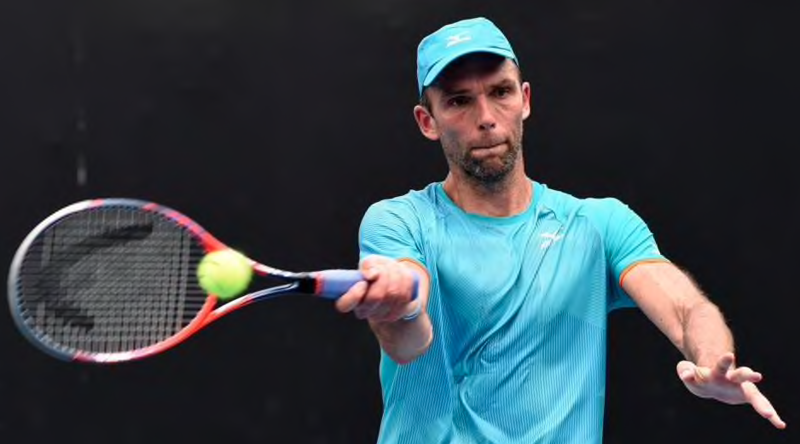 The 39 year-old Karlović pushed Nishikori all the way to a 10-point tiebreak but fell just short of the finish line; ultimately losing 10-7 in the deciding tiebreaker. Karlović is anything but a complete tennis player, but the ‘serving master’ sent the #8 player in the world to a fifth set at a Grand Slam. Not bad at all for someone who turns 40 in the next two months. Coric is up 2 Sets and leading early in the 3rd. Yep. Coric cruising with a break but rain’s stopped play. Karlovic was pretty unlucky but he put in a good effort there. Didn’t expect him to push Kei that much. Anyway so far so good, Cilic and Coric still cruising through. Iggy do u think Borna is capable of winning grand slams? Vekic is useless. Wins the ones she’s supposed to lose and lose the ones she’s supposed to hammer. She’s what, 22? If she doesn’t do anything in the next 12-24 months she’s gonna be another Kournikova. Without the rich husband.